The World Economic Forum predicts that by 2022, 75 million current job roles may be displaced by the shift in the division of labor between humans, machines and algorithms while 133 million new job roles may emerge at the same time. This will drive a demand for newer skills. 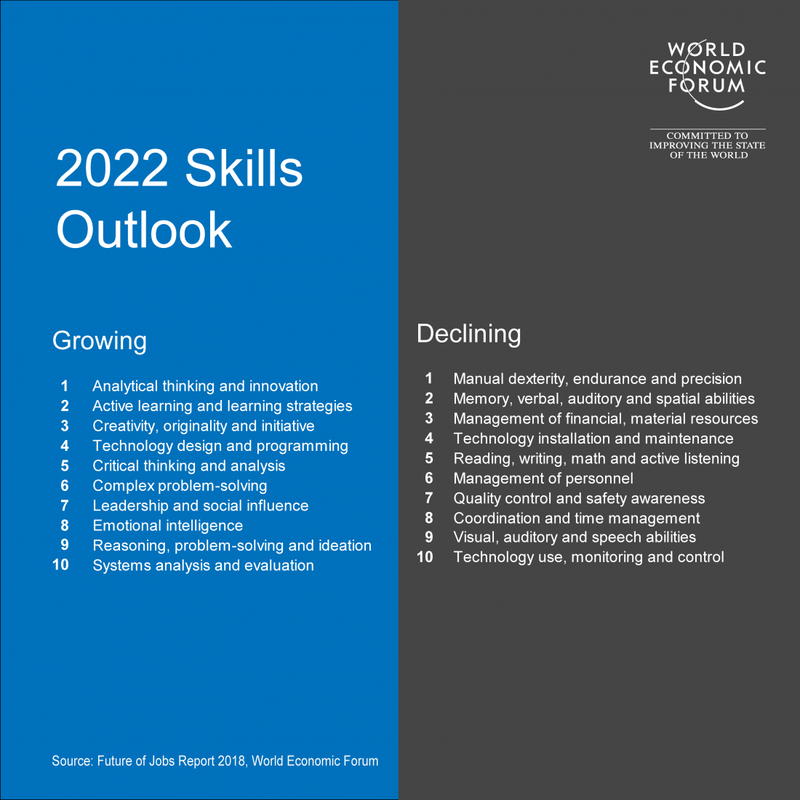 While technology skills will be one part of the skill equation, human skills like creativity, problem solving, leadership, critical thinking and negotiation will increase in their value. The development of a future ready workforce is one of the main goals of education and schools need to start employing methodologies which will ensure that a good mix of academic, technology and human skills have been imparted to the students. One such powerful teaching method which has been garnering a lot of traction is "Project Based Learning " or PBL. The main focus of the PBL Method is replacing traditional lecture based teaching with student driven collaboration to solve real world relevant problems and sharing the solution or product with an audience. It is goal based and draws upon multi disciplinary skills like problem solving, design thinking, negotiation, interpersonal communication, team work and academics. Identify a unique challenge or problem: Take a real world problem which is relevant to the students and select a question which has a meaning in your student's lives and one that they can create an impact on. Learners understand the power of asking the right questions and enhance their critical thinking abilities. Investigate the challenge using inquiry and apply ideas: Use inquiry based methods to deeply investigate the problem and come up with various ideas to solve them. Skills like Data analysis, smart searching and critical thinking will come to play in this step. Explore the ideas and challenge them through collaborative activities: Students justify, argue and recognize multiple perspectives on an issue to create a valuable product or a solution. Learners understand group dynamics, time management, self management, persuasion and negotiation skills. Refine the product or solution: Gather feedback from peers, the experts with whom you partner and teachers to continuously refine the solution or product. Interpersonal skills and leadership skills will be honed here. Develop the product and share it to an audience: The entire process of questions, investigations, analyses, drawing conclusions, collaborations will culminate in a final presentation of findings to an authentic audience which should preferably include experts in the discipline. The farm to table is a popular example for PBL methodology. It combines the goal focused PBL system with focus on Science, Technology, Engineering, Arts and Mathematics. In this project, students begin by researching the crops they want, figure out what kind of care is needed, and then use a budget to determine what materials they must purchase. They investigate various ways of growing crops, types of natural fertilizers to use, reading and understanding weather patterns and how they impact the growth of crops and sustainable forms of cultivation. The end product could either be selling their organic produce in school or sell their food to farms or even planning cook-offs using the produce they grew. A real life example of implementing Farming themed PBL has been briefly described in one of our previous blog posts on STEAM Learning. It mentions projects run in schools in Australia where Grade 1 and 2 students design an organic garden at school. Closer home, around 20 schools in Kerala are participating in a farm to table program where students and teachers are given training in various aspects of cultivating and preparing organic food. Apart from gaining expertise in STEAM areas, students pick up skills like budgeting, negotiation, team work, leadership, people management, judgement, decision-making and creative critical thinking skills. This also encourages students to think about future careers in the lesser exciting but very critical fields of farming and food processing. If one needs more details to get inspired and run a Farm to Table PBL in their school, a good resource would be to check out the TED Talk - Green Bronx Machine. Technology: This is one of the major enabler for students to design and develop their project. It levels the playing ground for all kinds of higher performing and lower performing students. PBL can be effectively implemented using a full suite solution, like EdSense, which seamlessly combines PBL with technology aids like Science Labs, Data Gathering and Analysis tools, robotics, math lab, soft skills lab, AR/VR Lab, programming and design thinking tools. High quality group work: Group dynamics play a pivotal role in ensuring a successful PBL implementation. Positive interactions between students, individual accountability, equal participation, social skills and regular constructive individual feedback will set the path for high quality group work. Teacher support: A teacher’s ability to effectively scaffold students’ learning, coach, motivate, support and guide them along the way will ensure a successful PBL approach. Professional support for teachers: Continuing education, support from experts in a field and other senior educators will ensure that teachers persist with PBL in their classes. Parent support: To ensure that children's learning is authentic, parents should provide emotional support and constantly encourage the children in pursuit of their goals. Project-based learning teaches students to adapt to their surroundings, take calculated risks, to be flexible and adaptable in ways that a standardized education simply can’t. It teaches a school student to take control of their own learning and develop critical employable skills by the time they reach university. PBL is an important aspect of a 21st century curriculum which fuses academic studies with economic, business and social needs for a future ready workforce. The benefits of PBL can be seen when you explore how it can be incorporated in your classrooms. If you have already implemented some form of PBL, please share your experiences with us at hello@edsense.in!